Our jewelry is mostly handcrafted by artisans around the world. We are constantly developing new styles in our leather collection and sea glass lines. Our focus is primarily nature, animals, sea life, tribal, and contemporary designs. We strive to offer you great customer service, gift boxing, and low prices. Originally the company was based in California, but is now located in Las Vegas, NV. 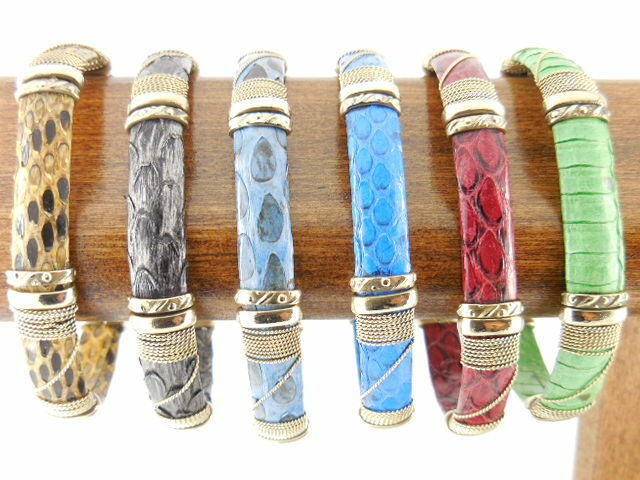 The leather bracelets are available in wide, narrow and a variety of color combinations. They are made incorporating not only leather, but also copper, brass and german silver (or alpaca as it is known in Mexico). The sea glass line uses alpaca and silver plate. The cast imported items are made from a metal alloy and will last a long time without tarnishing.